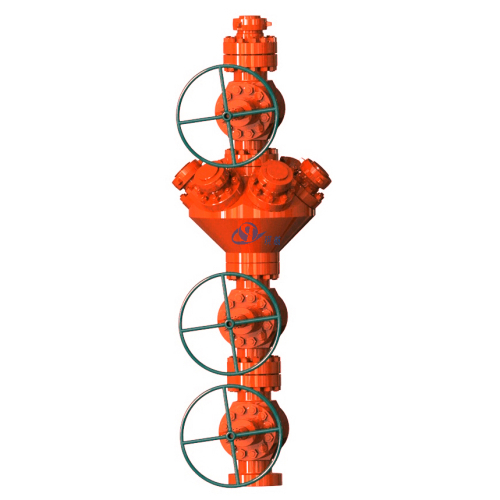 4 1/16", 5 1/8" , 7 1/16"
Frac Tree or Frac Stack, is a Christmas Tree installed specifically for the oilfield fracturing process. 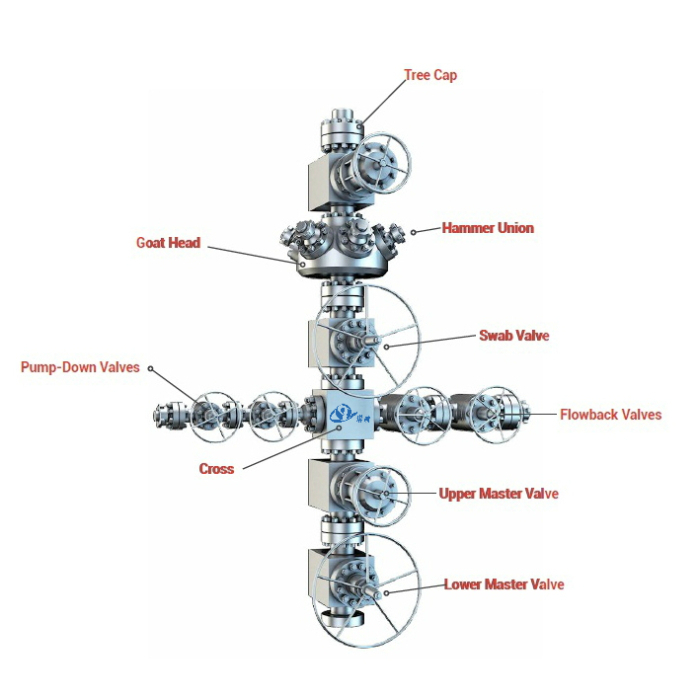 A frac tree typically consists of upper and lower master valves, flow cross, flowback valves, pump-down valves, swab valve, frac head/goat head, hammer unions, and tree cap. 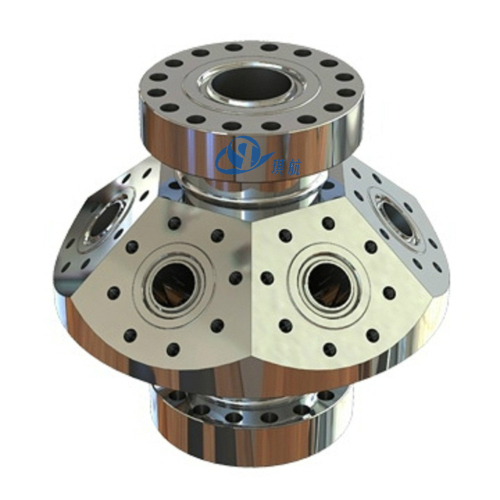 Frac trees generally have larger bores and higher pressure ratings than production trees to accommodate the high flow rates and pressures necessary for hydraulic fracturing. 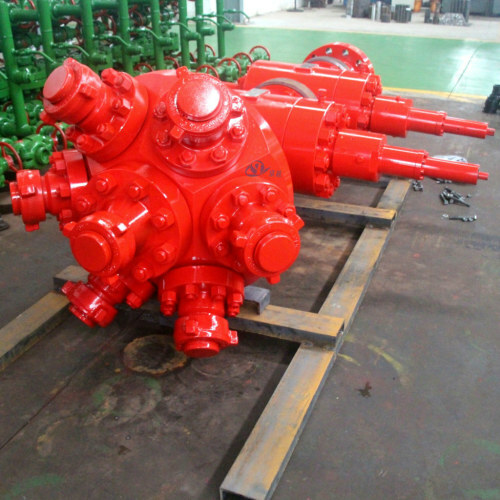 A frac stack in which multiple frac valves (manual type or hydraulic type) are contained in a single large body such that the overall height of the frac tree is reduced. 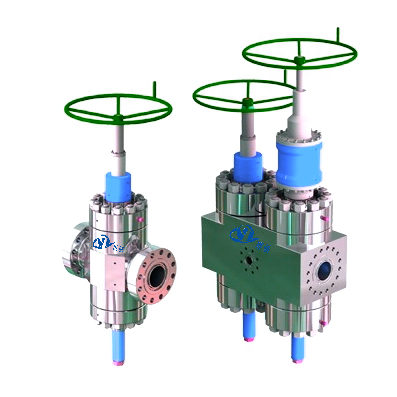 Frac Trees - Frac Stacks supplied by Qihang are strictly designed and manufatured in according with API 6A (20th edition) and NACE MR0175 standards for severe fracturing applications. The full-bore opening trees can easily handle harsh operating conditions, such as high pressure, high temperature, H2S and CO2 environments. 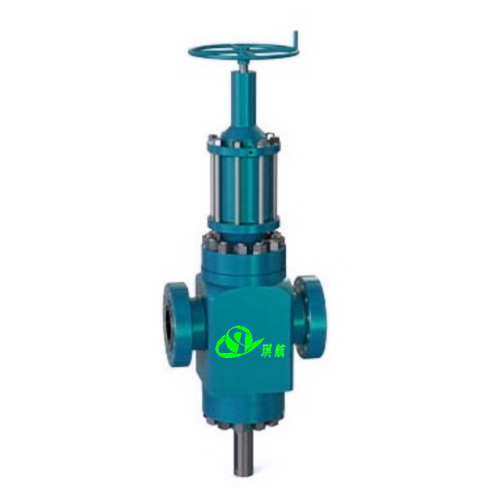 The frac valve used on our frac tree is an upgrade of Cameron FLS-R gate valve, ensuring a long-lasting reliable and safe working performance. 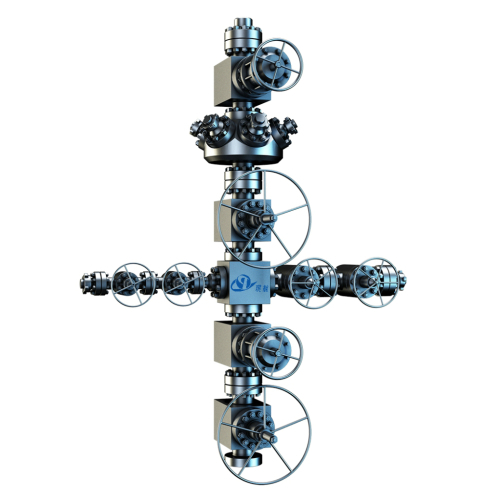 Our frac trees are competitively priced without sacrificing the quality. 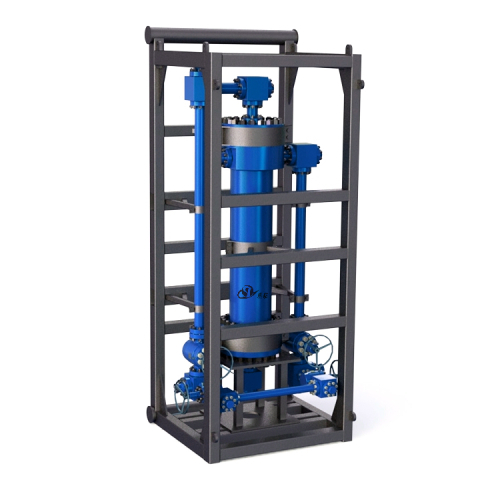 We can also design and manufacture frac stacks as per customers' specific requirements. 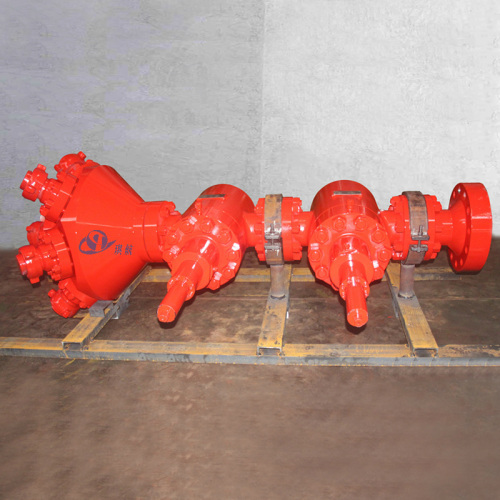 Bore Size: 1-13/16" - 7-1/16"
Primary Connections: 4 1/16", 5 1/8" , 7 1/16"
Wing Connections: 2 1/16", 3 1/16", 4 1/16"
4-6 side outlets on the frac head entry for pipeline layout and connection. 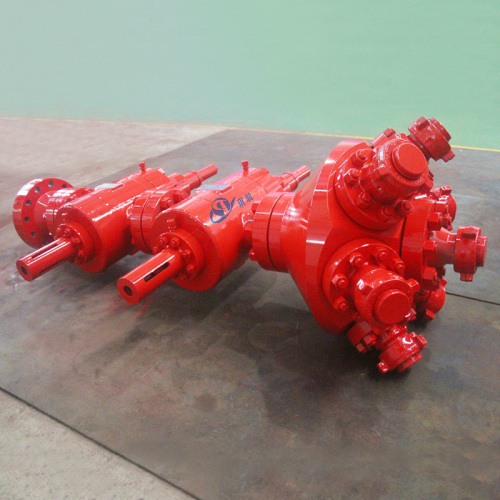 Outlet configuration reduces the shock of large displacement flow on the equipment, extending the service life. 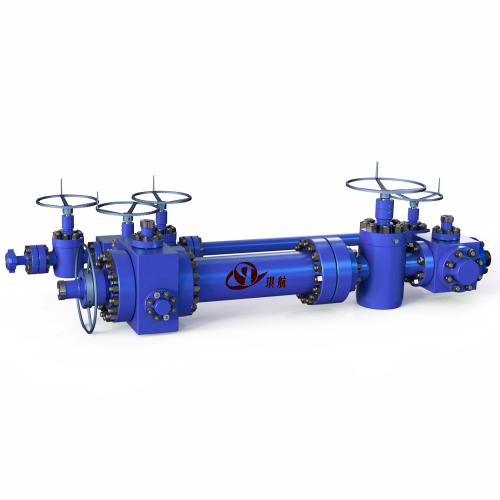 We use upgraded Cameron FLS-R gate valves on our frac trees, ensuring a long-lasting reliable and safe working performance. 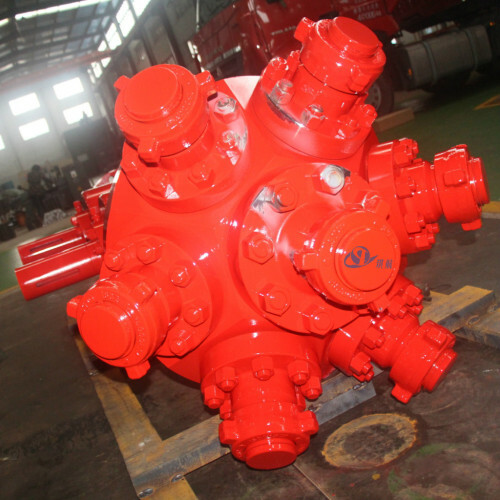 Qihang's frac tree stacks are competitvely priced. 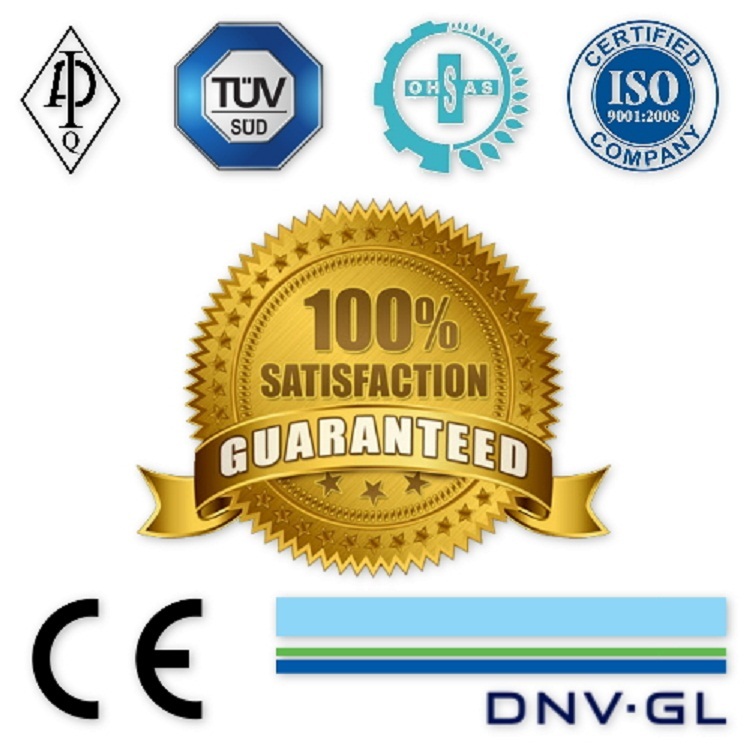 The quality of our frac stack is 100% guaranteed. 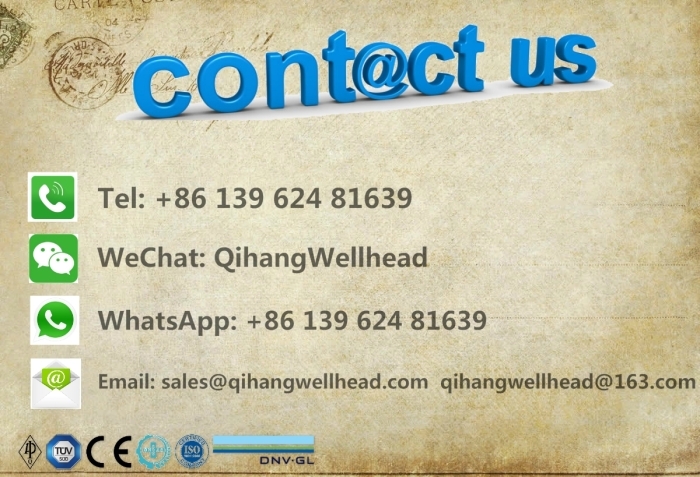 Qihang produces various types of High Quality API 6A Frac Tree/Frac Stack at Truly Unbeatable Prices.